We can arrange financing that is right for your purchase. Do you dream of buying your first place or a home for your family? 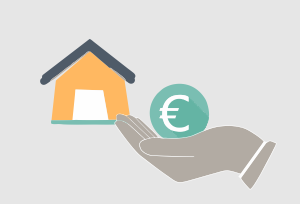 Are you looking to finance the purchase of a single apartment or multiple properties in Berlin? Thanks to our expertise and contacts we can provide you with a fair first-rate offer, and when necessary, within a short space of time. Transparency is also very important to us – we want you to understand what is involved in financing your property purchase and how it all works. Whether it’s a → loan to enable you to purchase your home or financing a → mortgage, our experts will provide you with comprehensive financial advice and information on the Berlin market. Your broker will be dealing with experienced bankers who have strong links to both Berlin and German banks. ‚difficult‘. For example, this could apply to retirees, job seekers and entry-level Schufa holders. Would you like to know what conditions apply in order to obtain the loan you need? With just a few basic details we can give you an estimate for the kind of loan you can achieve. Our financial experts will contact you immediately and provide you with an initial assessment of the top interest rate for you. Are you the owner of a property and want to rebuild, renovate or modernise? 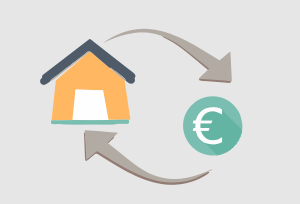 We give you the option to obtain a loan of up to 30,000 € without land registry security on the conditions of the current interest on the building. Through flexible rates and a transparent run-time we can help you implement your project quickly. Unlike ordinary home loans, even special repayments are free of charge, which means you can influence the duration itself. Please contact us to arrange a free consultation. A credit comparison is not always easy if you’re a layman because you need copious information and the exact details. 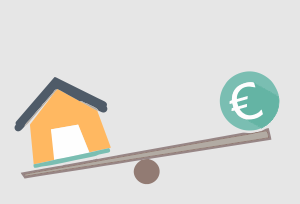 The annual interest rate plays a role for a favourable loan, as does the term and the option of special repayments. Do you need help selecting eligible financing, or do you disagree with the terms of your loan agreement? The experts at Black Label can help you find a private loan with a favourable interest rate, or we can carry out a debt restructuring.